La Estrellita, which means “The Star” in Spanish is actually the name of a great little Mexican Bar and Restaurant Cafe in the East Lake Merritt district on 5th ave and East 12th. This little local family own and operated business is a star. I think that they have the best salsa in town. The fact that they serve sustainable, free range, humanly raised animals from Niman ranch is a huge plus. They also say that they use local and organic produce when available and that they are green business certified. You have so many opportunities to go here. Breakfast, lunch, dinner, happy hour or a live show. You have all sorts of options like Chorizo & Huevos or the best part, you can build your own breakfast burrito! You get to choose from the ingredients list which is including but not limited to, eggs, bacon, sausage, chorizo, green onions, potatoes, hashbrowns, rice, beans, avocado, bell peppers, choice of cheese, sour scream and more. You truly do get to build your own dream breakfast burrito. And it’s BIG. The options are pretty wide open here. So many great plates to choose from. You have the option of getting the full dinner plate or the half lunch plate if you’re not that hungry. 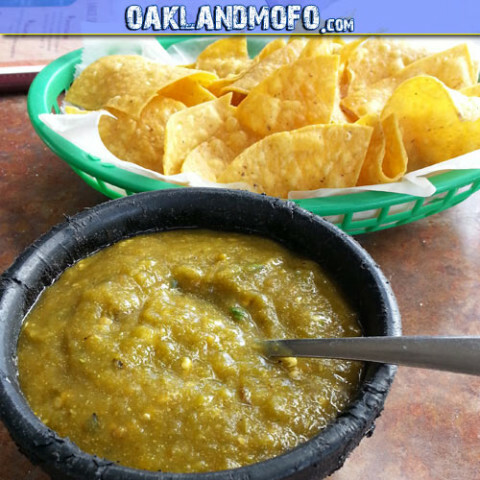 The salsa for the chips is possibly my favorite salsa that you can get from any restaurant. If you know of something better, please let me know. Not only is it a full service sit down restaurant that you can bring a date or your family to, the next room over is a full service beer and tequila bar with lots of seating and often times music. So you can go here with the intention of eating or solely for drinking(with delicious appetizers). The place is huge and if you think about it, it’s like 2 separate establishments. You can go here for dinner, sit on the restaurant side and not even know there is a huge bar in the next room that is capable of turning into a packed full house with live DJ’s, bands and dancing. There isn’t really a calendar online anywhere but events do happen here. Just ask the server when you’re there eating or check out the posted flyers. 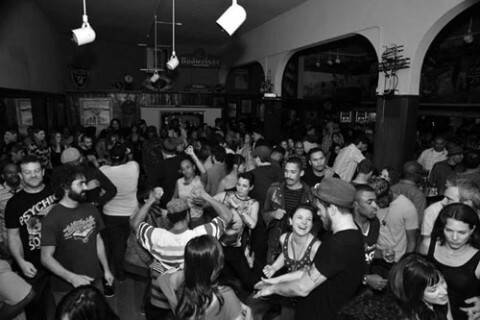 Pictures is ATM’s Deeper Side Of Soul at La Estrellita. This is the bar side. There is still another whole separate restaurant side. They will even deliver to you but there is a minimum order of $20 and a $3 delivery charge. Plus you’ll likely want to tip the driver so it can be kind of pricey but worth it if you don’t want to go out. Lake Merritt BART is about a 7 minute walk away. AC Transit lines very near by include the 11, 62, 1, 1R and 40.